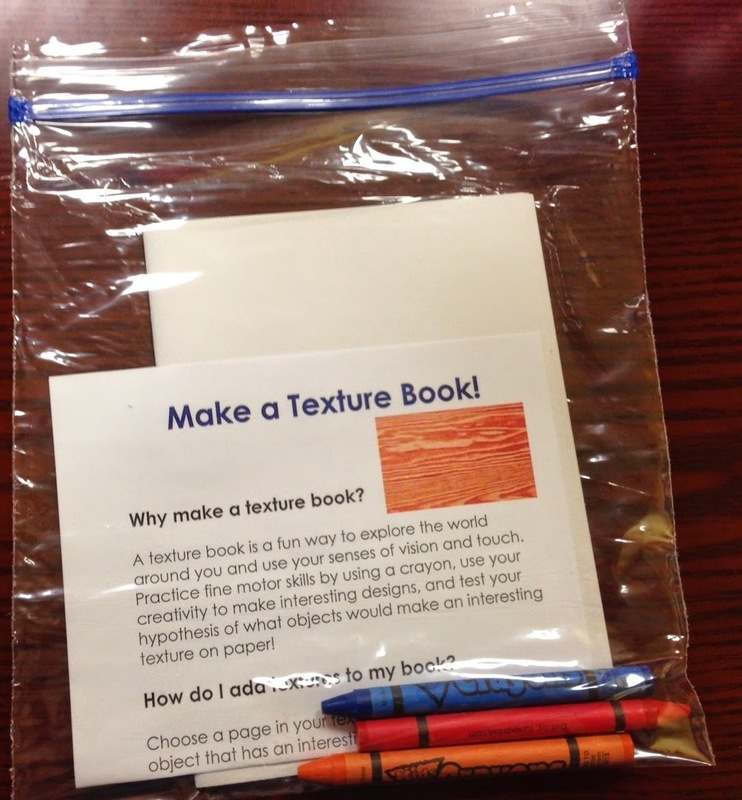 Texture Books are a great activity for young children in your program (though older kids may enjoy making them, too!). For this activity, we included several sheets of white construction paper (purchased for our Tangram packs) and 3 crayons of various colors (we ordered crayons in bulk from Amazon, $10 for 250 crayons. There are many places you can get crayons in bulk for pretty cheap!). To make a Texture Book, children go on a hunt through their house or neighborhood and use the crayons to do texture rubbings to add to their book. Examples of different textures they might find include tree bark, sidewalks, the bottom of their shoe, etc. This is another cheap and easy one and it's great for young children to do.